It’s winter, the gas heating is out, and the company won’t fix it; you’re driving and are suddenly stopped by the police; you see polluted water on the roadside and worry that there might be some sort of industrial spill… However you might respond to these situations, that’s not how Chinese officials see things. 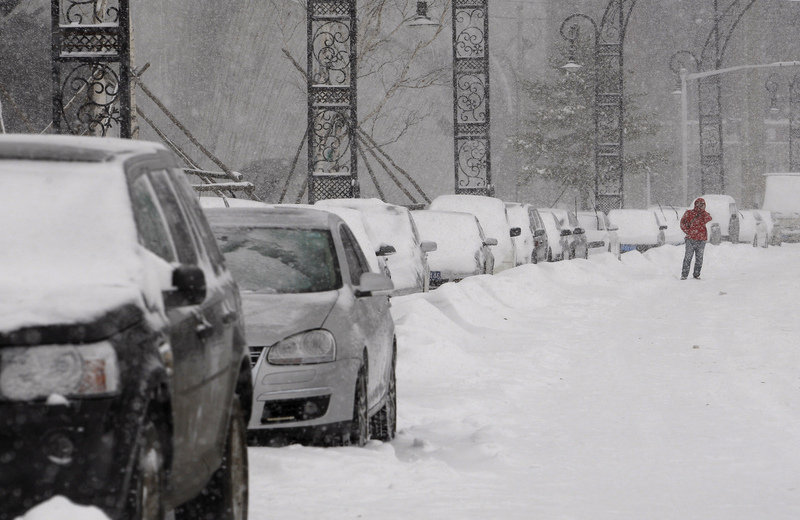 In January 2010, residents of Harbin, the capital of China’s northernmost province Heilongjiang, were unhappy with the slow response time of the state-run heating company in fixing their heaters. The problem was widespread, and causing a great deal of escalating, negative media coverage, putting pressure on the company. But Huang Liya, the director of propaganda at the Heating Supply Office, told the press: “Please report more on how the heating company has worked hard to do its job. Don’t always report on how cold it is—keep social harmony in mind,” she said. The frank remarks were reported by People’s Net, the web edition of the Chinese regime’s mouthpiece People’s Daily. On March 20, 2013, Mr. Cen, a truck driver, was pulled over by traffic officials on a highway off-ramp in Foshan, Guangdong Province. Immediately after he stepped out of his truck, they began punching and kicking him, he said afterwards. 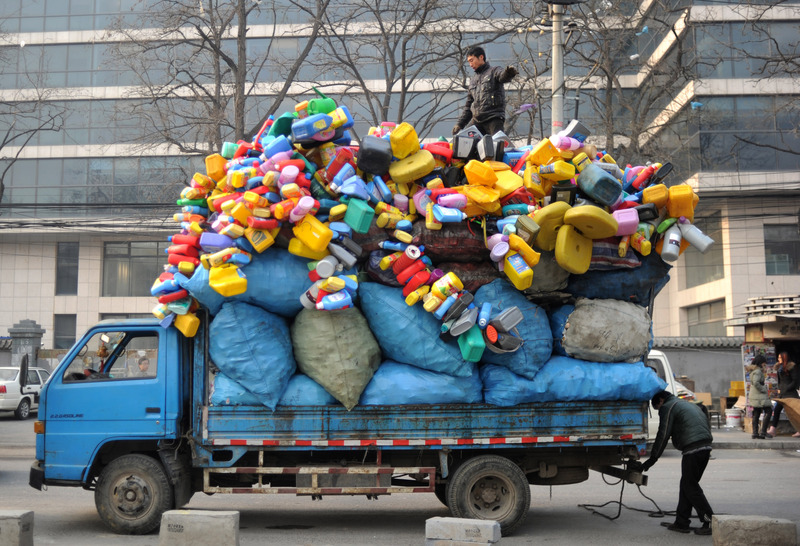 Mr. Cen admitted that his truck was overloaded, but he said it didn’t warrant such severe abuse. The next day the department called a news conference and said that no punches had been thrown. However, it became apparent that Cen (the official; no relation to the driver) was lying. A nearby traffic camera caught Cen and 6 other officials’ violent abuse—together they beat Mr. Cen for five minutes. Cen, the official, can even be seen stomping on Mr. Cen’s leg. After the officials went back to their vehicles due to the rain, Mr. Cen called his own ambulance. 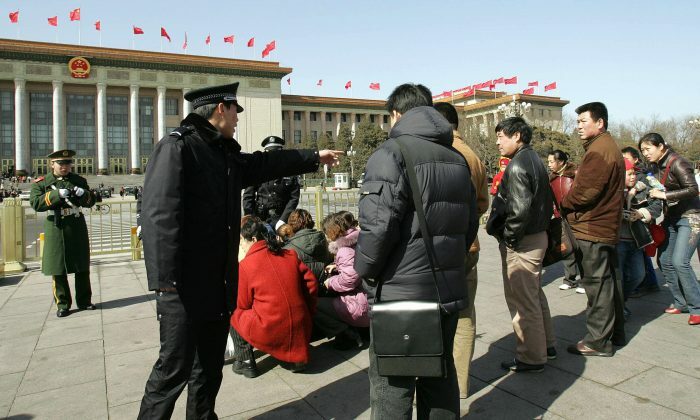 Cen was fired after the video came out, and other officers involved were either fined or detained, according to the state-run Xinhua News Agency. 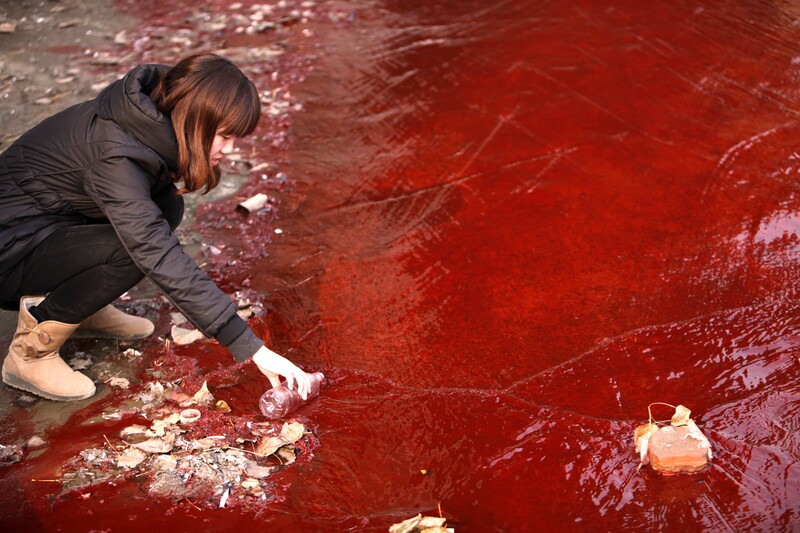 In April 2013, over 800 chickens died after drinking water that was a reddish in color at Zhangguantun Village, Cang County, Hebei Province. Residents didn’t dare fetch water from local wells, terrified of the reddish coloration it had got. State media later reported that Deng has since been fired from his post. Chinese officials on the record and uncut, on how they really feel about news reporters. A video taken in China has been posted online, showing fishermen butchering a whale shark while it is still alive.